Find blankets crafts, fleece blanket craft project and tips on making baby blankets here. Blankets are among the most common and useful comforters, which are mostly purchased readymade, from the stores. Now that we are witnessing advancement in almost every field, including the textile industry, you can get blankets customized to match your home décor, perfectly. However, in order to get that personal touch to the comforters, you need to sew them down, on their own. In this fast moving life, only few homemakers manage to set aside some time for their home improvement projects and sew quilts and blankets on their own. For others, a nice excuse to escape from the heck of sewing blankets is that they do not know how to sew at all! Agreed, making blankets require some sewing skills and even the easiest of blankets will involve some needlework. 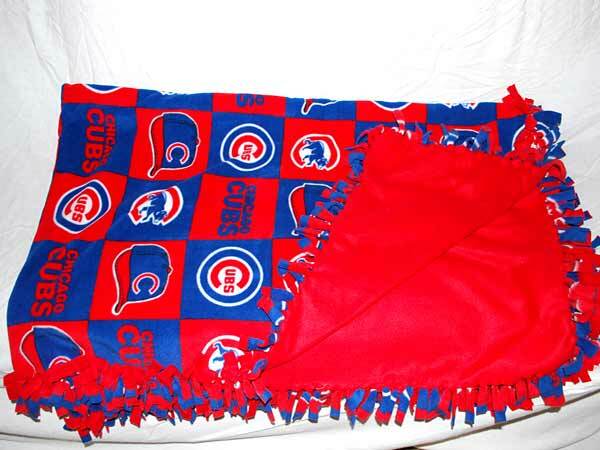 However, you can still manage to make beautiful blanket crafts by using your brains. By thinking differently and creatively, you can ensure that you will make a blanket that is unique in its own sense. For the purpose, you will need guidelines about the basic cutting and sewing techniques. In this section, we bring you instructions for some of the easiest blanket crafts, which can be made even by the amateur, very effortlessly. For a mother, making quilt, sweaters and cozy blankets for the 'new member' of the family can be a lot of fun. It not only provides a sense of satisfaction for the mother (because she sews the comforters for her baby on her own), but also cuts the expenses of buying the same from stores. While making a blanket for your baby, you should consider few things. Not all of us might be skillful enough to make beautiful embroideries for clothing, knit sweaters or stitch blanket. Not adept at the artwork though, we would still want to make something for your family, just for a personal touch. If you are not adept at the sewing skill, then you should look for something that requires less or no needlework, but still gives you the same effect that of a sewed blanket. If you know the basic sewing skills and have a creative mind, then you can make beautiful quilts, pillow cases, blankets and clothing for your home, yourself. A handmade piece of clothing or comforter not only reduces the cost of purchasing the same from a shop, but also adds a personal touch to the interior decor of your home.